Dr. Chukwuemeka Ikpeazu at the Sylvester Comprehensive Cancer Center has brought hope — where once there was none — to patients in South Florida with unresectable pleural mesothelioma. Ikpeazu is the principal investigator in the multicenter phase II clinical trial involving the much-anticipated immunotherapy drug durvalumab. Pharmaceutical giant AstraZeneca manufactures the drug under the brand name Imfinzi. He recently enrolled his first mesothelioma patient in the trial and expects others to follow shortly. 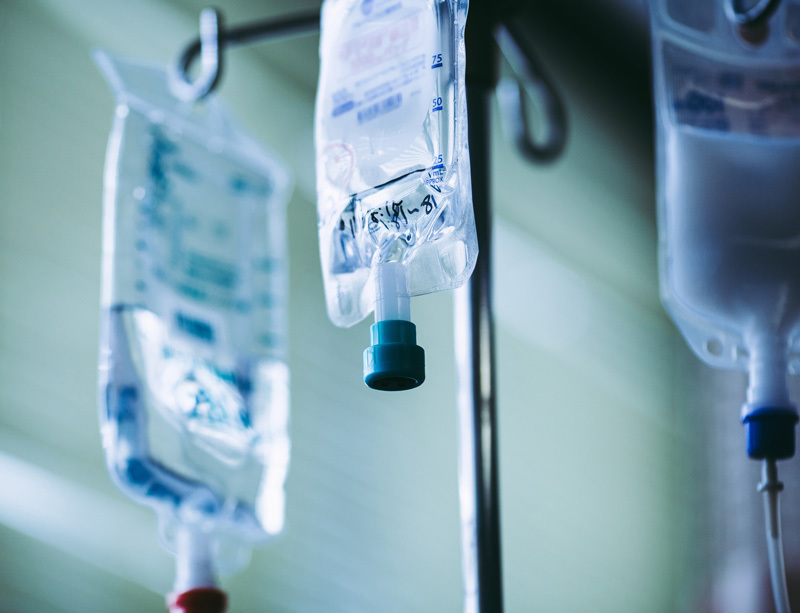 Durvalumab will be used as a first-line treatment in combination with standard-of-care chemotherapy for those who are not eligible for surgery. Durvalumab works by activating a patient’s immune system to attack tumor cells that overexpress PD-L1, a protein that is quite common with mesothelioma patients. The drug counteracts the protein. Durvalumab’s interaction with chemotherapy was positive in earlier trials with other cancers. The U.S. Food and Drug Administration (FDA) approved the use of durvalumab in 2017 for the treatment of bladder cancer. The FDA also is reviewing its potential approval for certain lung cancers after reasonable success in ongoing phase III trials. Patients in the most recent trial study will be given the durvalumab and chemotherapy combination for six, three-week cycles. Patients with responding or stable disease will then receive durvalumab alone every three weeks as maintenance until there is disease progression. The mesothelioma clinical trial, which began in 2017, is being conducted at 18 sites across the country, including some of the top cancer centers in the U.S. The promising results of a phase III trial for lung cancer prompted the study for mesothelioma. In one trial involving stage 3 lung cancer patients, durvalumab stopped tumor growth for an average of 11 months. It also has been tested with melanoma, pancreatic cancer, head and neck cancers, lymphoma and esophageal cancer. Several other centers are part of a similar mesothelioma trial involving durvalumab in combination with tremelimumab, another immunotherapy drug. The Lung Institute at Baylor College of Medicine, under mesothelioma specialist Dr. David Sugarbaker, is testing the combination with surgery. Ikpeazu, as expected, is a big believer in the benefit of clinical trials, both for the patient and for the long-range treatment advances that can be made. The Sylvester Comprehensive Cancer Center is part of the University of Miami Health System, which has built the premier mesothelioma program in the bustling South Florida region. The multidisciplinary team includes Ikpeazu, thoracic surgeon Dr. Nestor Villamizar, thoracic surgeon Dr. Dao Nguyen, medical oncologist Dr. Raja Mudad and radiation oncologist Dr. Raphael Yechieli. University of Miami Health System. (2017, August 14). PrE0505: Open Label, Phase II Study of Anti - Programmed Death – Ligand 1 Antibody, Durvalumab (MEDI4736), in Combination with Chemotherapy for the First-Line Treatment of Unresectable Mesothelioma.